How do I ask G-d to fulfill my needs? Question: Perhaps I should pray to G-d more often or more fervently? And how do I nurture a habit within myself to ask G-d to fulfill my needs? Why is afternoon a special time for prayer to G-d? 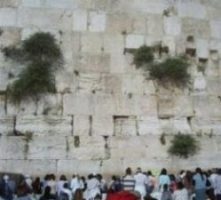 What prayer can Noahides use to accept G-d’s Kingship? Can I develop my own personalized prayer liturgy? What prayers of repentance or scriptural verses are appropriate before bedtime? Here are some suggestions for verses and Psalms that a Noahide may wish to include as prayers before going to bed at night, selected from the traditional Jewish prayers: Psalms chapters 91, 121, 51 (especially useful for repentance), and verse 31:6. These suggestions are in addition to one’s prayers of repentance and for forgiveness from G-d, according to one’s chosen days and times for such prayers. When I can’t pray verbally, can it be done mentally? Purely mental meditation and communication directed to G-d definitely should have its time and place in every person’s life, and this is very dependent on the circumstances, time and place, etc. Rest assured that G-d is fully aware of all our thoughts at all times! So you should NOT stop meditating about and mentally praying to the One True G-d, but you should also look for opportunities of privacy when, if you have needs that you wish to pray for, you can verbalize your prayers. You can also spend some of your time mentally reviewing what you are learning about the Noahide Commandments, Torah subjects in general, and your understanding of G-d. This means figuring out what you think you understand, what you don’t understand, how the concepts fit together, what your questions are, etc. You’ll discover what questions you need to ask, and you’ll deepen your understanding. In particular, you can read the Chassidic Discourses that are posted on www.asknoah.org, and then review them mentally and meditate on their meanings as your time allows. What is the blessing after food that Abraham taught? Is there a specific Noahide liturgy? May Gentiles address G-d as Father? Question: Is there a problem with Gentiles addressing G-d as “Father,” considering that the Jews are called “the children of G-d” [Deut. 14:1]? Maybe that’s a distinction that I should honor in prayer? Answer: As long as you’re saying this in your heartfelt prayers in your own words, or reading from the translated text of an appropriate prayer from the Orthodox Jewish liturgy, there isn’t any problem with this. “Our Father, our King,” is used in many prayers in the Jewish liturgy. This phrase was used in a moment of inspiration by the Sage Rabbi Akiva at a time of great trouble, and it evoked a miraculous response from G-d when other prayers were not succeeding. By saying “our Father, our King,” you can have in mind that you are including yourself and all Righteous Gentiles along with the Jewish People. When it’s hard to pray, are religious songs OK? Question: Sometimes it’s hard for me to recite prayers or Psalms, but I have no problem whatsoever singing out loud to certain religiously-based songs, in many cases, Psalms that have been set to music. Is this an acceptable form of prayer and worship? noun: (a) The reverent love and devotion accorded to G-d. (b) The religious forms by which this love is expressed. verb: To regard with ardent or adoring esteem or devotion. noun: (1) A reverent petition made to G-d. (2) An act of communication with G-d, such as in devotion, confession, praise, or thanksgiving. (3) A specially worded form used to address G-d. (4) A fervent request. Your singing out loud is probably an expression and communication to G-d of the happiness you feel in loving and adoring Him. But how many of your own personal needs do you express to Him as requests while you are singing? Your prayers for your needs are probably better expressed with an approach of humility and a feeling of emptiness – that something is missing or might come to be missing, which you need G-d to provide for you. For that, this paraphrased advice from the Mishna is very appropriate: “Do not approach to pray except with a concentrated and serious mindset.” But of course at the same time you can sing for joy in G-d’s closeness and for happiness in your faith that He hears all prayers.